If you own a business, you probably have considered security measures that protect your organisation from possible break-in or theft. The “go-to” solution for businesses is often CCTV, IP surveillance, or commercial alarm systems. These are all important elements of security for a business of any size, but another smart investment to consider is access control. With a slightly different focus than video-based systems that patrol your property’s exterior and interior, access control serves a different, yet perhaps just as vital purpose. Is Access Control Right For Your Business? If you own a simple shop or small business with few employees and a modest office space, office control may not be right for you. Access control is right for businesses that are multi-layered and have additional security needs or require access limits. Law firms, investment groups, banks, hospitals, and other multi-leveled organisations should strongly consider installing access control systems. Access control works by requiring employees or entrants to key in a code or swipe an ID card to gain access to a building. The keypads or sensors can be placed on exterior and interior doors, creating total control of where individuals are permitted to go within the building. If your business has confidential data, protects valuables, requires emergency lockdown, or has restricted areas, access control is likely to be the security tool you need. With a large staff or sensitive material, you may need to monitor your team or keep strict controls on their time spent in the building. Access control gives you an added layer of regulation. Not only do these tools keep unauthorised persons out of your property, but they let you know who is inside the building, when, and where. You are able to monitor location and have more exact data for timecards and employee movements. These systems are very advanced and allow you to manage individual user permissions based access is granted to the correct individual to the correct areas at the correct times. Employees with restricted access will not be able to enter areas they are unauthorised to pass. This is important if you have a necessary hierarchy of security levels amongst your staff. You can even set specific times that cards will permit access. Alongside CCTV or IP surveillance, access control can help prevent more insidious attempts to gain unauthorised entry. Forced break-ins are easier to spot and are a clear cause for alarm. But individuals who try to use other means to enter the building will be foiled by access control. Whether inside or outside your property, when cards or key codes are found to be invalid, an alarm can be set to sound and the proper authorities can be alerted as well. This means that those attempting to gain unlawful entry will be swiftly dealt with in the proper manner. Businesses across industries store secure and often confidential data. For such companies, it is vital to have areas that are off limits to all but the most highly trusted of employees and management. If this describes your organisation, access control can be an important means of ensuring this private information is kept in a secure location and that it does not fall into the wrong hands. In some cases, such systems may even be required for licensing or insurance purposes. Ready to ensure your business is its safest? 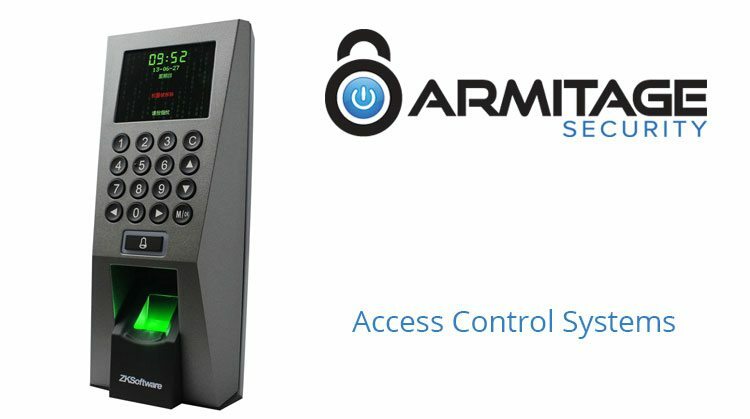 For more details about access control systems and other commercial security, get in touch with the experienced pros at Armitage Security today.